Roth 401k offers the ability to have a different tax status for your money, but there may be some Roth 401k pitfalls. If you follow IRS rules, you can provide tax-free income during retirement. While the promise of tax-free income is important, it is also important to know about Roth 401k drawbacks. 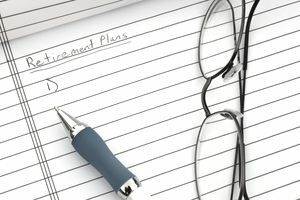 On other pages, we’ve discussed how the Roth 401k provision can be added to 401k plans (and other types of qualified plans such as 403b). If you haven’t already, be sure to school up on the basics of Roth 401k. If you’re excited about the promises of Roth 401k, slow down and make sure that it is right for you. Allow me to play Devil’s Advocate and highlight some Roth 401k disadvantages. At this point I’ll mention that these may or may not be true disadvantages – it really depends on your situation. Everything in life involves tradeoffs, and there’s no such thing as a free lunch – especially from the IRS. Nevertheless, we do the best we can. Finally, I don’t know what your particular situation is. Therefore, this information is strictly for informative purposes. You should, of course, do plenty of research and/or consult with a competent tax advisor before you make any drastic decisions. It takes more of a bite out of your net pay to place the same number of dollars into the Roth 401k account (because you don’t get a current-year tax-deduction). We don’t know what tax laws will be in the future. Your tax bracket could be higher or lower – who knows? Furthermore, the politicians could just decide that Roth was a bad idea and tax everything. Of course, they would have a hard time getting reelected. Roth money always has a “5-year rule” attached to it. I won’t go into detail on this page, but you should consider whether or not your money will be in a Roth-type account for at least 5 years. To complicate matters, your money may lose its 5+ year “aging” if you roll it out of a Roth 401k and into a brand new Roth IRA. Roth 401k does not consider a “first-time home purchase” (as defined by the IRS) as a qualified withdrawal, meaning you may have taxes that you didn’t expect if you try to use your Roth 401k dollars for an otherwise qualified first-time home purchase. Non-qualified Roth 401k distributions (in English, that means that the IRS didn’t think you had a good reason to take the money) are treated differently than non-qualified Roth IRA distributions. From a Roth IRA, you can generally say you’re taking back your original money. Roth 401k may require you to pay taxes on any earnings within your account even if you don’t distribute the entire amount. No current-year tax deduction. With traditional 401k contributions, you enjoy reduced taxable income in the current year. With Roth 401k, you’ll have to wait for any tax benefits. There are a lot of possible Roth 401k disadvantages. The challenges I’ve listed above may or may not be significant to you, but they’re worth tucking away in the back of your brain. Also, remember that there may be ways for you to manage some of these pitfalls so that they don’t affect you. Disclosure: Justin Pritchard is a Registered Representative and Investment Advisor Representative of Financial Network Investment Corporation, Member SIPC.